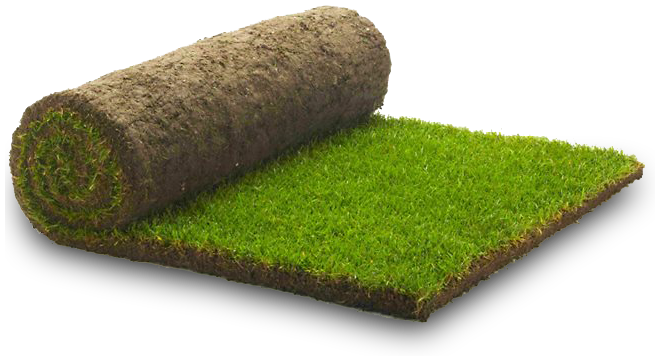 The main objective is to ensure your new turf is laid on a good quality soil or sand base. Eliminate perennial weeds such as couch grass or bindweed well before beginning to prepare the soil. Hand-removal is best, or use a contact weedkiller. Do not use residual weedkiller as it can remain in the soil and will prevent the grass from establishing. The site should be dug or rotovated to a depth of 20-25cm (8-10in). Dig in some well-rotted manure or other organic matter (especially on a sandy soil) to hold moisture. Make sure it is well-rotted, as un-rotted organic matter will cause the soil surface to sink unevenly as it decays. To get the level surface that is crucial for the best lawns, tread the area several times in different directions and then rake several times also in different directions. Apply and rake in 70g per sq m (2oz per sq yd) of general purpose fertiliser. Where possible, laying of turf should be done within 24 hours of delivery. Can I lay turf on top of my existing garden soil? Yes, you can use existing cultivated garden soil as long as you ensure it is weed/stone free and level. It is also advisable to deal with any water logging problems before laying new turf. What can I do if my existing garden soil is poor? You can either put down new top soil or a layer of sand prior to laying your new turf. If your soil is heavy clay soil then sand would be the preferred option. What do I do if my garden is water logged? Poor drainage can cause a garden to be water logged, even in dry weather. Simply putting down new top soil or sand may help in the short term, however, long term a land drain would be advisable to remove excess water from the garden. We can offer drainage solutions to ensure you maximise the use of your lawn throughout the seasons. How much top soil/sand will I need? With regard to turfing, top soil and sand are usually spread thinly over the existing soil. Our 1 ton bag would cover 20sqm approximately, depending on how thickly it is spread. If you have any other questions about your garden or soil preparation then please contact us for more information.